Agar Scientific is committed to safeguarding your personal information when you are using Agar Scientific’s services. We want our services to be safe and enjoyable environments for our customers and are committed to processing personal information about our customers in ways that comply with our legal obligations as well as being clear with our customers about what we do with their personal information. 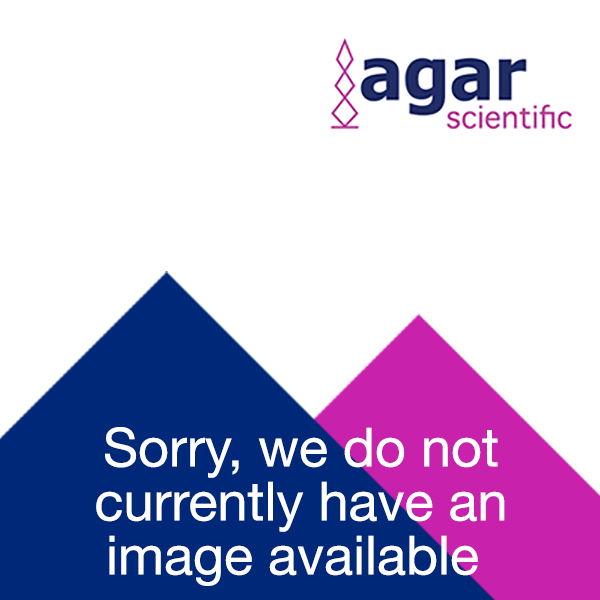 Agar Scientific may for marketing purposes send relevant new product or service information by post or email. You can choose to opt out of receiving direct marketing information at any time through the unsubscribe link within the emails or by contacting sales@agarscientific.com, or by phone 01279 215 506 or by using the ‘contact us’ form on the website. We may use technology provided by the credit reference agencies (CRAs) that processes personal information that you provide to us, in order to analyse your creditworthiness, which helps us to decide if we are able to offer you an account. We may also continue to exchange information with CRAs about you on an on-going basis, including about your settled accounts and any debts not fully repaid on time. CRAs may share this information with other organisations, which may use it to make decisions on future applications for credit. You can find out more about how your personal information may be used in connection with Google’s advertising functions and options for opting out here: www.google.co.uk/intl/en/policies/technologies/ads/. Our Website contains hyperlinks to other Internet websites. We are not responsible for the privacy practices or the content of such websites, including such sites use of any personal information. We use reasonable security methods to protect the personal information that we process, including Internet standard encryption technology (“SSL“ or “Secure Socket Layer“ technology) to encode personal information that you send to us through our Websites. The following section explains your rights. The various rights are not absolute and each is subject to certain exceptions or qualifications. We will grant your request only to the extent that it follows from our assessment of your request that we are allowed and required to do so under data protection laws. Nothing in this Privacy Statement is intended to provide you with rights beyond or in addition to your rights as a data subject under data protection laws. The right to be informed - You have the right to be provided with clear, transparent and easily understandable information about how we use your personal information as set out in this Privacy Statement. The right of access – Individuals have the right to obtain a copy of personal information (if we’re processing it), and other certain information (as provided in this Privacy Statement) about how it is used. We can refuse to provide information where to do so may reveal personal information about another person or would otherwise negatively impact another person’s rights. The right to rectification - You can ask us to take reasonable measures to correct your personal information if it’s inaccurate or incomplete, e.g. if we have the wrong address or name for you. The right to erasure - This is also known as ‘the right to be forgotten’ and enables you to request the deletion or removal of your personal information where there’s no compelling reason for us to keep using it. The right to restrict processing - You have rights to ‘block’ or suppress further use of your personal information when we are assessing a request for rectification or as an alternative to erasure. When processing is restricted, we can still store your personal information, but may not use it further. We review our privacy practices from time to time. The date of the most recent revisions will appear below. If you require further information regarding these rights, about this Privacy Statement generally or to make a complaint please contact our Data Protection Officer. Should you be unsatisfied after contacting Agar Scientific you may also contact to the Information Commissioner, all contact details are available on the ICO Website: www.ico.org.uk. Our network of stocking agents and distributors will be pleased to supply you worldwide.